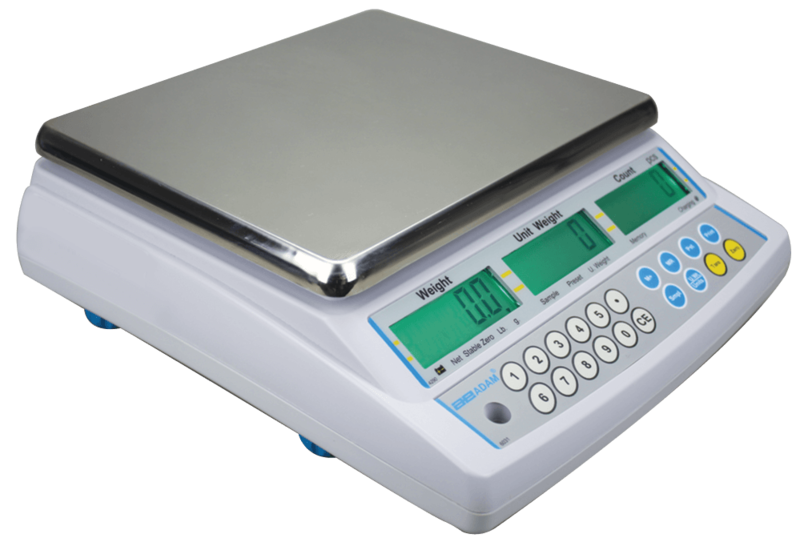 CBC table/ bench counting scales offer fast and accurate check counting functions that are perfect for checking counting tools, parts and products in warehouse environments. The intuitive software is user-friendly, can keep track of your count and automatically optimise the unit weight for greater accuracy. The CBC is packaged in a tough ABS housing with RS-232 interface, stainless steel platforms, non-slip feet and load cell protection necessary for working in tough industrial environments. Clear easy to read displays showing weight, piece weight and count as well as easy to follow intuitive keyboard, make this scale simple and quick to set up and use. A built-in rechargeable battery with 90 hours of use before recharging allows for the scale to be taken anywhere and used, so ideal for stocktaking, shipping, production, checking applications to name but a few. From small parts to heavy items Scaletec`s line of counting scales can make it count.